Hi everyone! June here and I'm back with a winter DIY Pinterest and Tumblr inspired room decor project! This DIY Pinterest andTumblr room decor idea is a great way to light up your room this winter season! The hanging snowflakes and fake falling snow makes it really festive for the winter time/holiday season, and the white Christmas string lights is the finishing touch to this window decor for your room or living room. This DIY Pinterest and Tumblr inspired window decoration sets a cozy and welcoming mood for your room or living room. As always, if you recreate this DIY Pinterest and Tumblr inspired room decor, please snap a picture and share with me via my social media, as I would love to feature your recreation in my next DIY video! Thanks so much for stopping by! I'll see you guys next time! The holidays are amongst us! I don't know about you but I get super excited when it's this time of the year: Christmas time! One of the best things about Christmas and the holidays, in my opinion, is home and room decoration. Another great thing about the holidays is the comeback of the Starbucks red cups! Starbucks discontinued the red cups tradition a few years back but they brought it back this year, 12 red cups to be exact. To celebrate the coming of the holidays and the comeback of Starbucks red cups, we're going to make three Starbucks DIY Christmas decorations pieces: garland, door knob hanger, and pillow! Not only are these DIY Starbucks red cup room decor are perfect for the holidays, they also make awesome Christmas gifts for any Starbucks lover! 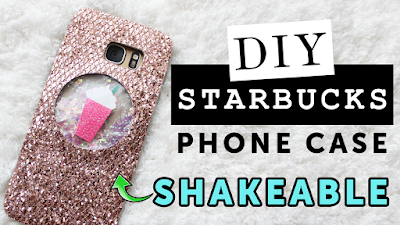 Please snap a photo of your re-creations with me (via my social media) as I would love to feature them in my next DIY video! Hope you all enjoyed this DIY holiday room decor tutorial. Thanks so much for stopping by! Have a wonderful Christmas and Happy Holidays! 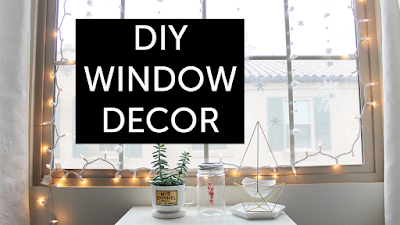 This tutorial is not sponsored whatsoever, just a DIY Holiday Room Decor tutorial. Links above are Amazon affiliated links.